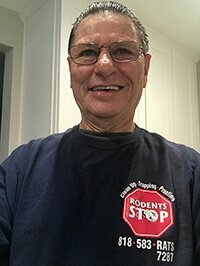 Rodents Stop offers a lifetime guarantee with all of the work that we do! This guarantee covers sealing of new entry points, clean up, even to the point of re-treating a home if need be. At Rodents Stop, we take GREAT PRIDE in our work, and we have every confidence that we are the BEST! We know that the treatments we perform will keep rats out for good. We offer a LIFETIME GUARANTEE on all of our treatments. If any rats/ mice are able to chew through, push through, or get past-in anyway, we will perform complete rat control service with trapping, clean up and treatment-FREE OF CHARGE! Rarely do we have to return to service a building that we have already worked on, but rest assured that if rats are ever able to gain access to your structure due to some fault in our materials or workmanship-we will remedy the situation for you! We strive for COMPLETE customer satisfaction. 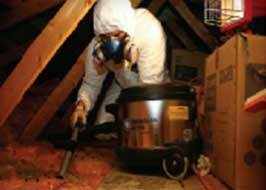 The guarantee is simple: If you hear prolonged noises, see droppings, or see a rat in the home, after we perform our treatment, we will come back out and do whatever needs to be done to solve this issue for free! The guarantee is transferable, if you sell the house-the guarantee goes with the house! Even if you remodel or have work done on the house, the guarantee is still fully applicable! We just ask that you give us a heads up when the work is complete, so we can come by and check everything-making sure it is up to our standards-otherwise, we will do so for free! 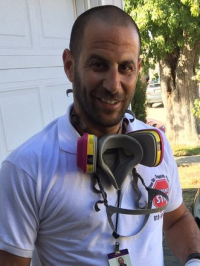 If you hired us to solve your rat problem, you will most likely never need to make use of our guarantee- but it’s nice to know that it’s there! Note: Although the guarantee is good for the lifetime of the house, in most cases, it will remain intact for the entire life of the structure!